He has provided advice on inquiry-based learning, digital literacy and assessment for the country’s new competency-based curriculum (CBC). In collaboration with the Teachers Service Commission and the British Council, he was invited to prepare 16 national facilitators around the country to train 1,500 teachers on a CBC-enhanced programme. 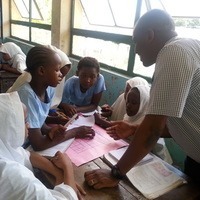 At the Aga Khan Academy Mombasa, he leads the professional learning programme, helping facilitate training, as well as teaching physics, design technology and world studies, and supervising IB Diploma Programme (DP) students on their extended essay. His responsibilities for outreach involve him running the Professional Learning for Educators Series, which range from one-year certificate courses to customized courses. 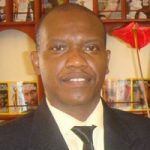 “In the last nine years, we have reached 4,963 educators from 300 primary and secondary schools, two teacher training colleges and our county education department,” he explains. A top 50 finalist in this year’s Global Teacher Prize, Maina aims to bring the practical elements of learning to the forefront. He helps DP students gain scientific research skills through hands-on service learning. For example, every year he and his students carry out a deworming project in an area of poverty, combining this with community education on hygiene and the environment. The students collect data on the level of wellness and the quality of water in the area, and analyse and report on it. 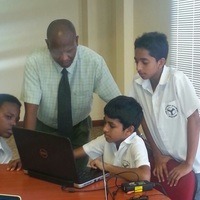 His approach is to use students’ life experiences in his teaching. In lessons on energy usage, for example, he encouraged students to evaluate their energy consumption at home with their parents, which has led to some families switching to energy-saving bulbs and movement sensor security lights. He says the IB learner profile is a beacon, which guides his professional work. “The dynamic nature, reviews and updates of the IB are an indication of the currency of the programme. The elements of holistic development, inclusion and open-mindedness are aspects, which I value very much. The IB complements our school’s Curricular Strands, which aim to strengthen understandings and dispositions needed by leaders of the future.